I first read and reviewed this book around 10 years back. Whilst the versions of Photoshop have changed, there remains huge value in this book. Certainly there may be a few more up to date ways to achieve what is set out but don't let this put you off. The principles and techniques in the book are professional grade. By this I mean if you can understand them you will be able to apply them with virtually any version of Photoshop. These are techniques used by Photoshop professionals because they work well and are fast. The only drawback I can find with this book is that it needs a reasonable familiarity with Photoshop in order to really benefit. This however is also its strength in that it is for serious users of Photoshop and has photographers in mind. There is a wealth of information in these pages and I would highly recommend purchasing a copy and keeping it close to hand. 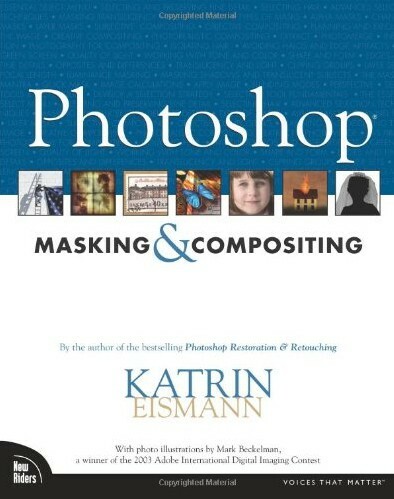 Whilst the title says this book is about masking and compositing images, it doesn’t make it clear just how frequently these skills are needed if you want to produce professional quality images. Since this review, a new version of the book has been published and which has been co-authored with others. I have yet to read this so my comments are based on the original edition published in 2004.